Every morning, Kyla sits in her favorite booth at Wiggin Street Coffee to study, journal and work on her art. 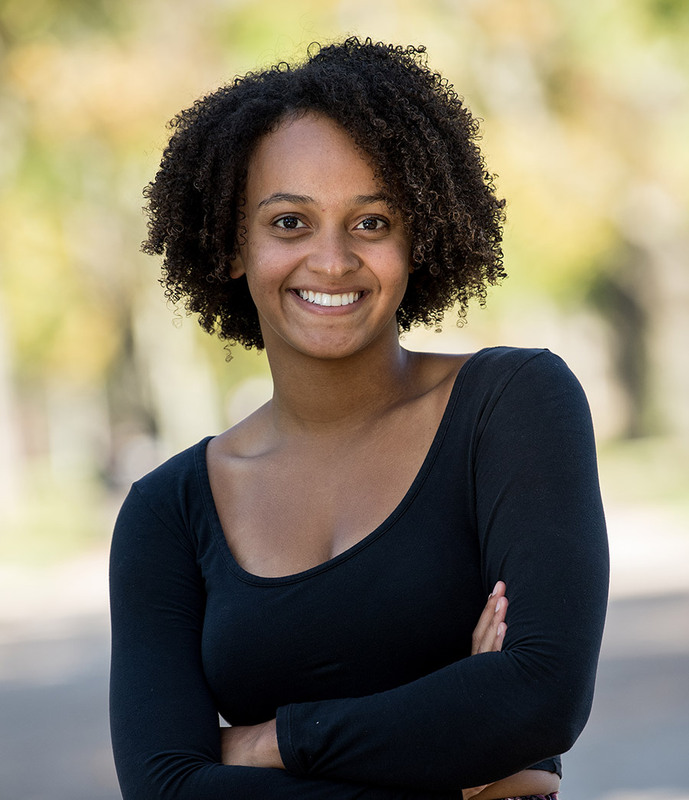 A drama major with a concentration in American studies, she is active in Kenyon’s robust theater scene, most recently appearing in “Rosencrantz and Guildenstern Are Dead.” Kyla is writing a play for her senior thesis that’s set in post-apocalyptic Pittsburgh, but that’s subject to change. 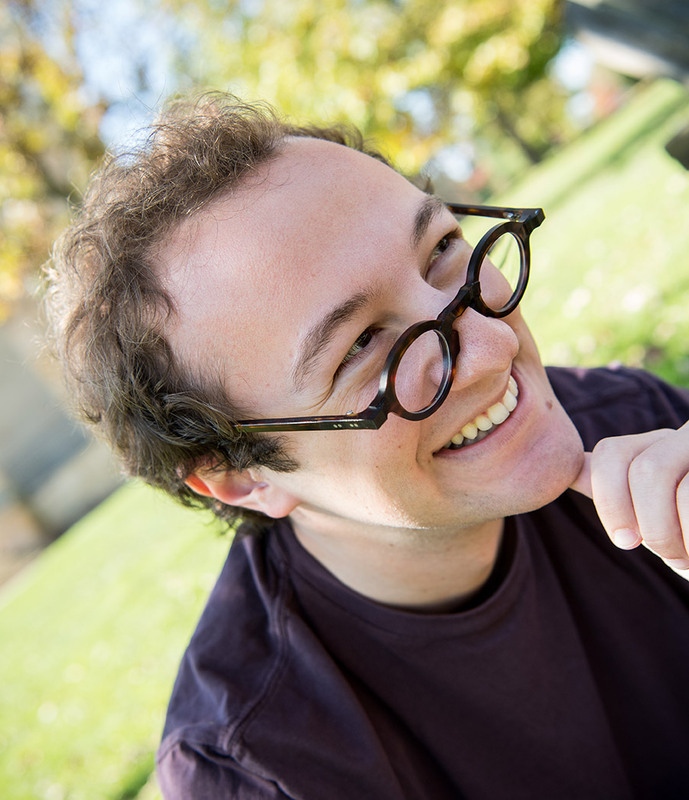 Chris cherishes Kenyon’s intellectual community, and contributes to it by writing for and conversing with his neighbors to strengthen his thinking on issues that matter to him. 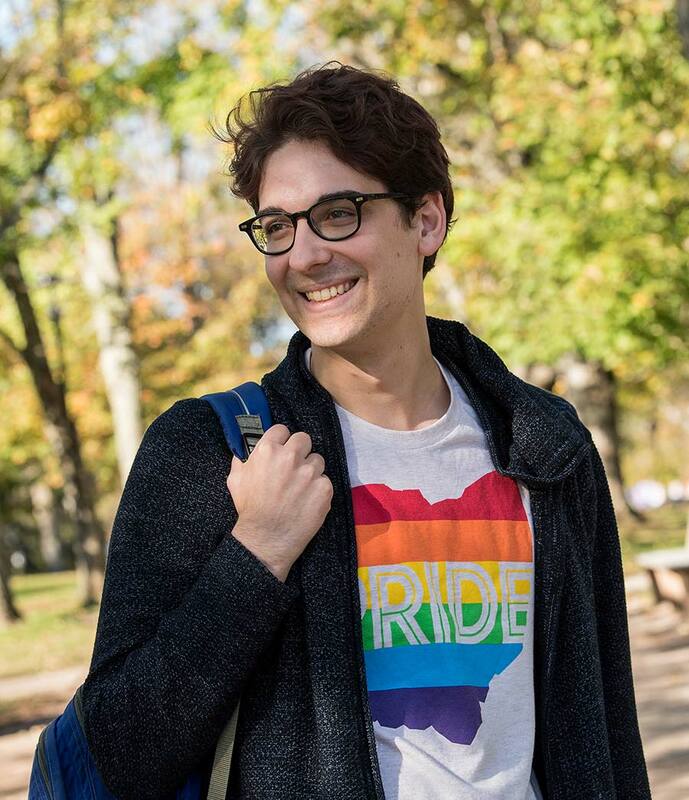 Through his involvement with Kenyon’s art museum, he brings together students and community members for everything from debate-watch parties to spoken-word poetry nights. 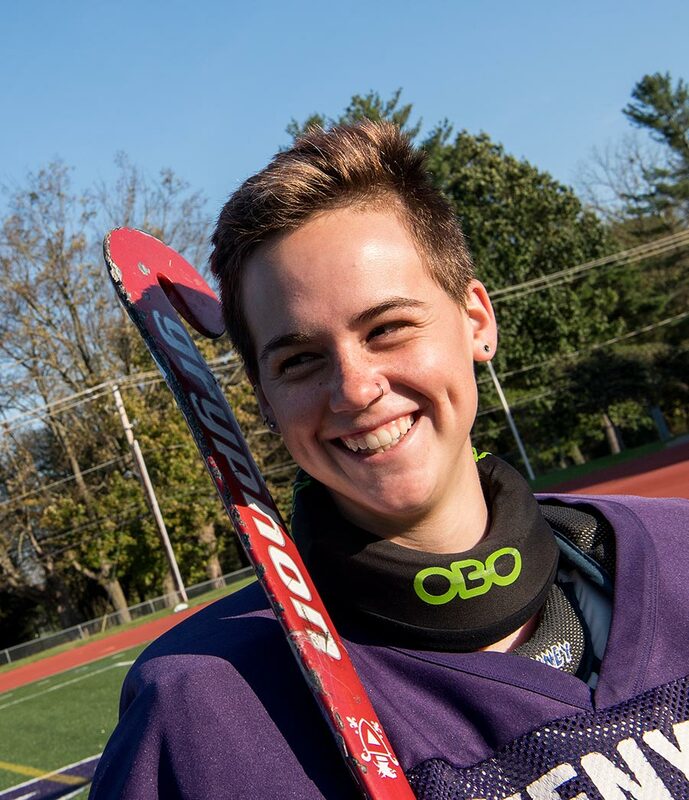 Sarah holds Kenyon’s record in shutouts as the goalkeeper for the field hockey team, but she’s most proud of leading two campus groups: one that’s committed to ensuring an inclusive athletic community and another that promotes respectful and consensual sexual relationships. 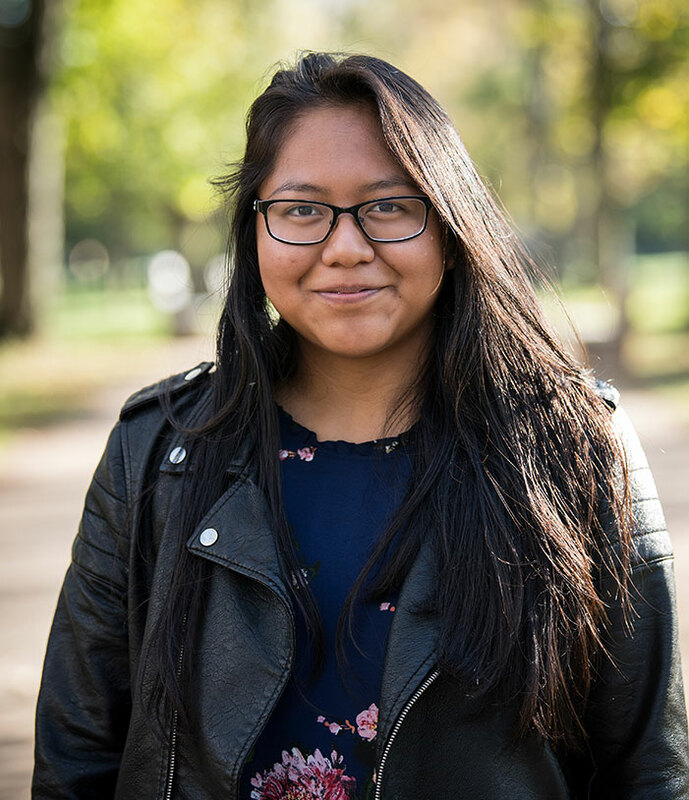 A biology major with a concentration in environmental studies, she is passionate about marine ecology and her betta fish Mango (whose tank doubles as a terrarium for growing aquaponic basil). 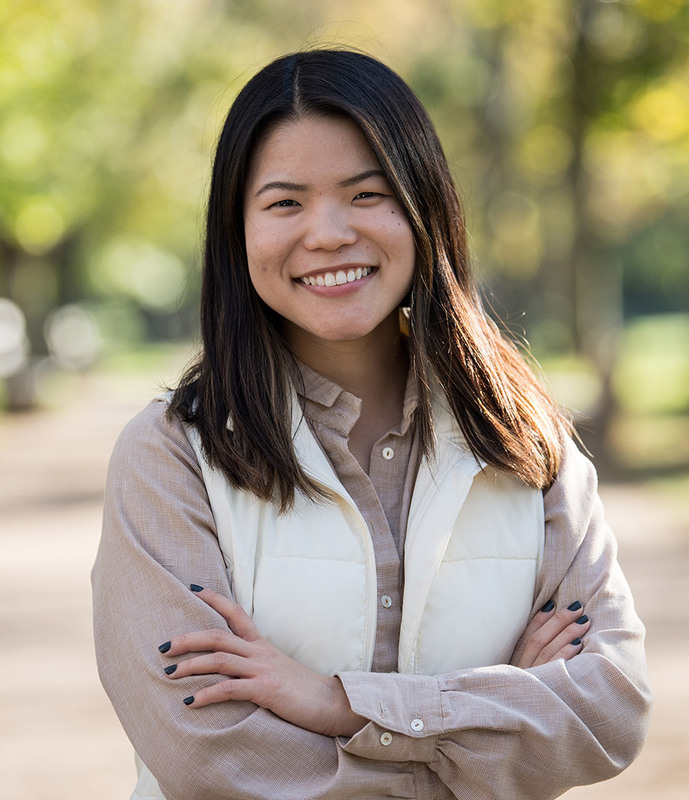 Amy is an English major and art history minor who turned a summer internship writing blog posts and news articles for a Fortune 500 company into a full-time job offer after graduation. She honed her writing chops at Kenyon, both in her English classes — her favorite is “Demons, Great Whites and Aliens” — and at the college’s professional art gallery, where she leads a team of students responsible for digital outreach efforts. 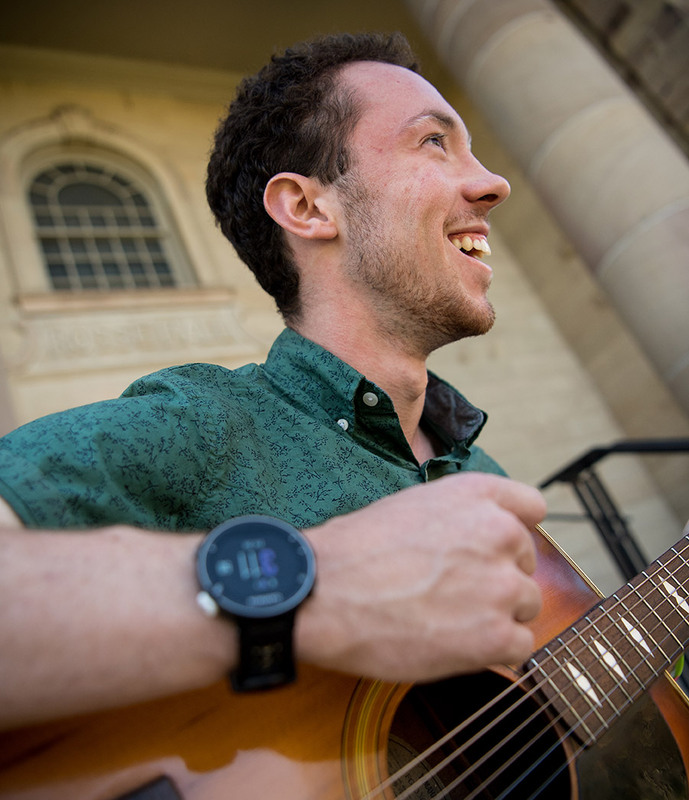 Ethan connects with the Kenyon community through music, getting to know professors, peers and community members over Mozart and Tchaikovsky at symphony rehearsals and playing Irish folk dance music for friends at campus parties. 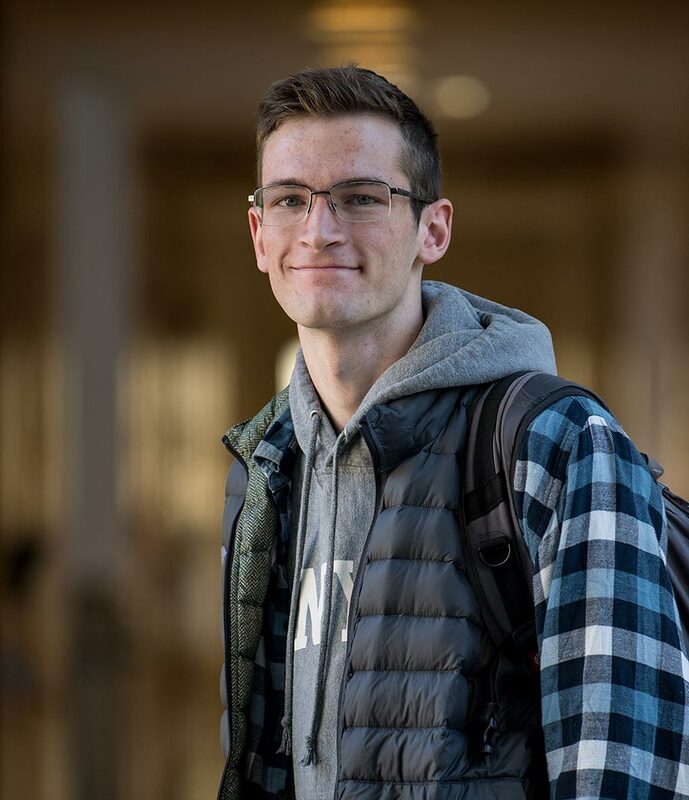 A cross-country runner and neuroscience major, he collaborates with his professor and classmates on exploring how genes drive the development of the nervous system. 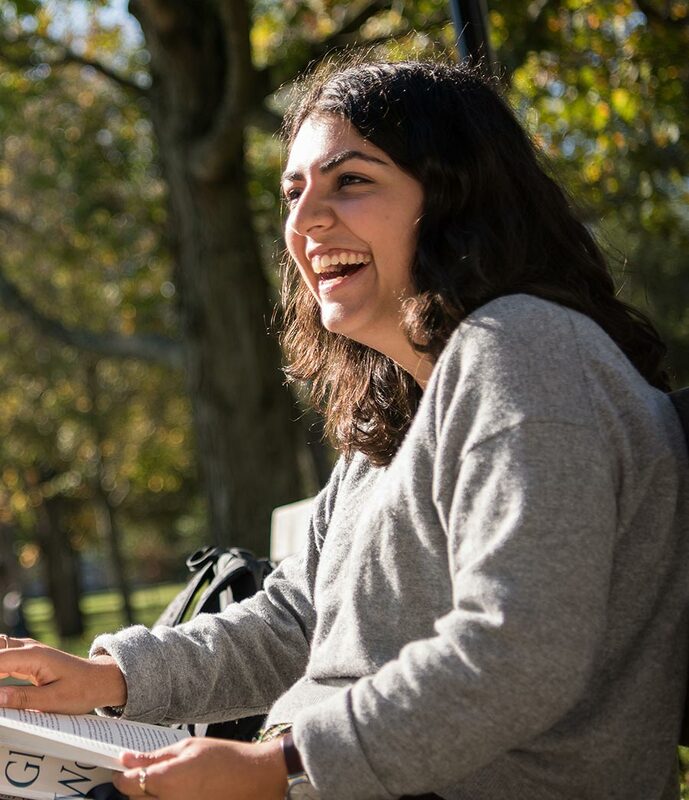 One of the most comfortable silences Elizabeth experiences at Kenyon is when she and her friends are studying together, contemplating challenging topics over coffee. She came to Kenyon knowing she wanted to write screenplays as a film major, but didn’t know she would become passionate about writing code in her scientific computing classes. Henry’s conversations at Kenyon can range from discussing Chekhov’s short stories to debating religion’s role in modern society to quoting lines from “Paul Blart Mall Cop 2.” These kinds of exchanges fuel Henry’s curiosity, which he brings to his creation of comics. A Russian and studio art double major, he researches the roles of heroes in contemporary Russian comics and experiments with new methods of comic creation in the studio. Majoring in American studies allows Yasmin to examine people, places and cultures through the lenses of English, history and sociology. She enjoys learning about the same topic from “wildly different” perspectives and exploring the various layers behind every cultural phenomenon. 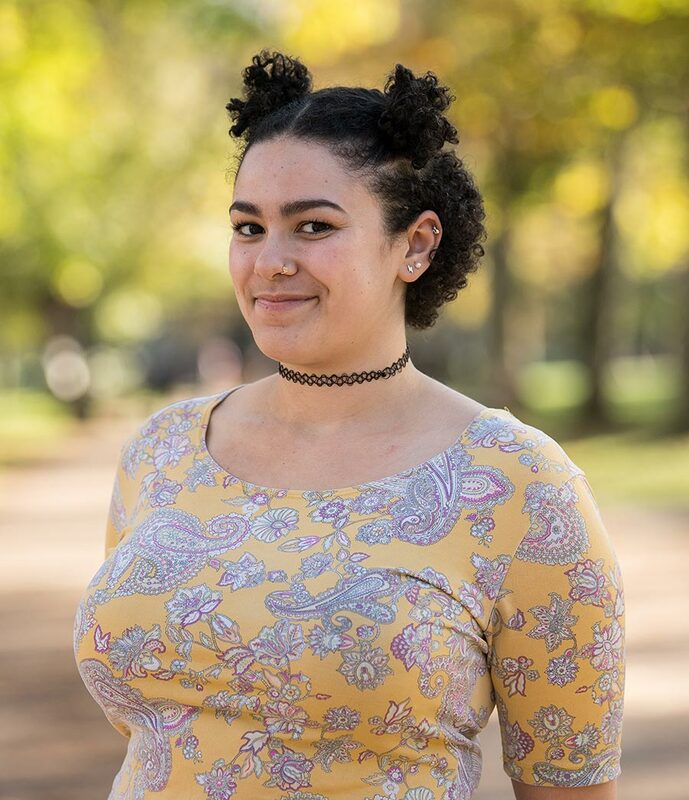 Yasmin’s interest in people is expressed through the snappy blog posts she writes for a popular student-run blog. 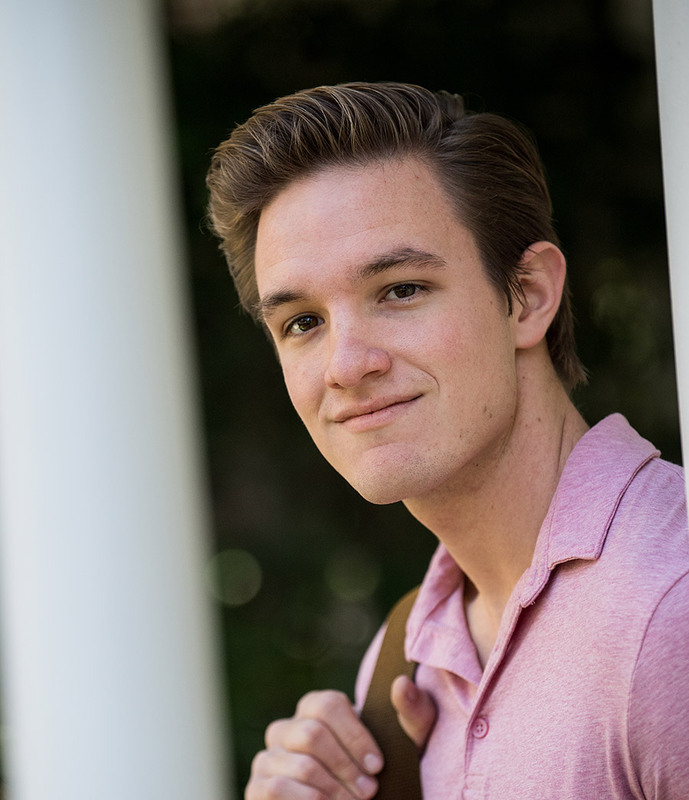 Nate describes himself as one of Kenyon’s most enthusiastic audience members, attending campus events ranging from a cappella concerts to field hockey games. A religious studies major and classics minor, he is immersed in a research project on the experience of Jews in Ireland that he initiated while studying abroad at University College Dublin. 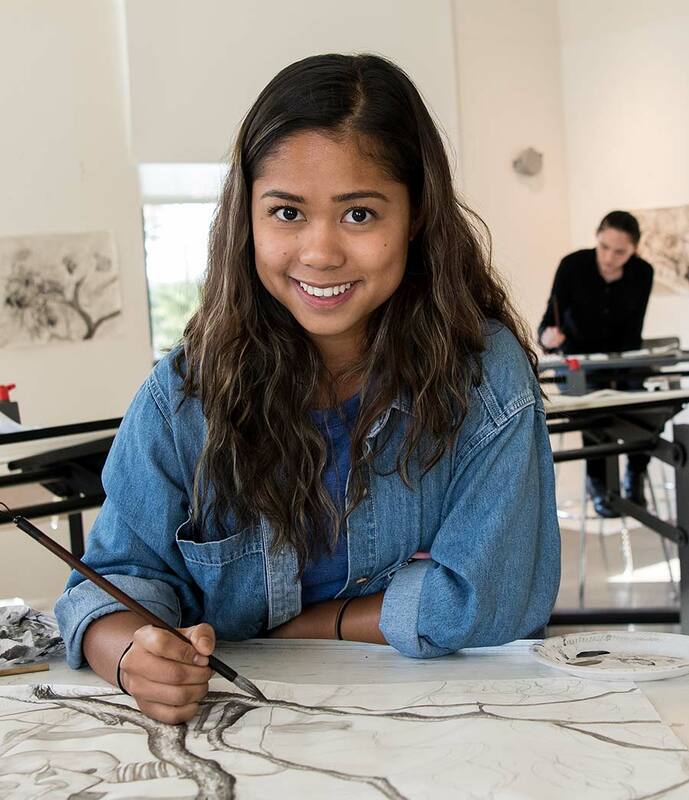 Alma interns at Kenyon’s professional art museum, leading a team of students who connect exhibits with community experiences, like tours, film showings and educational events. As a sociology major, she conducts research on social patterns and change, interviewing members of the college’s Latino/a community and examining the history of sexual harassment in the U.S.
Cole spends as much time in the Science Quad, studying, researching and tutoring, as he does on the athletic fields, where he is a captain on the Ultimate team. A biochemistry major, he is examining the genes of a mosquito that carries diseases like the ZIKA virus. He says this kind of research could lead to the development of an insecticide that targets a specific mosquito without affecting the surrounding ecosystem. At Kenyon, Sebastián values seeing the immediate impact of his contributions, from tutoring area Latino/a students through a college prep program to volunteering for the local fire department. 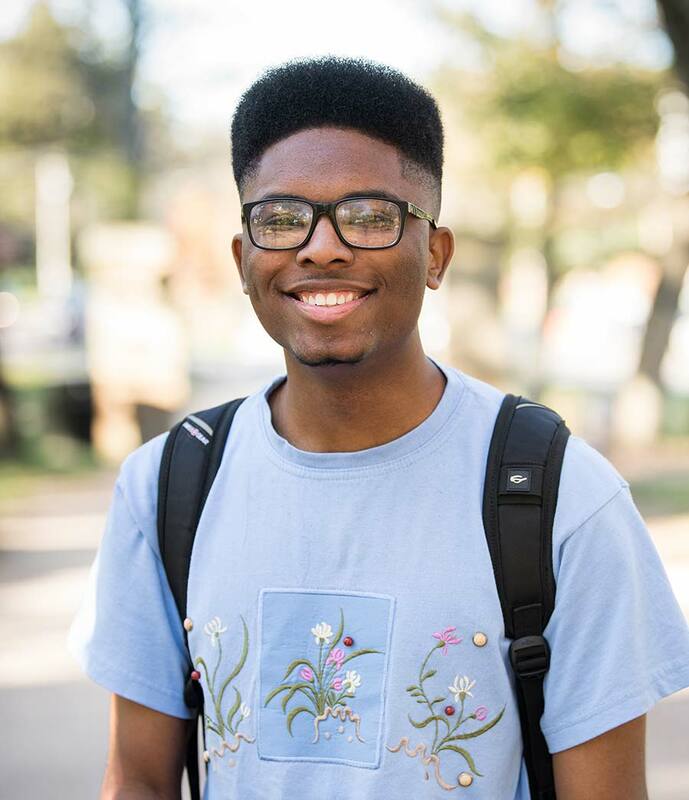 A Spanish major, his academic passion is in Latino/a studies, particularly regarding literature, history and activism. 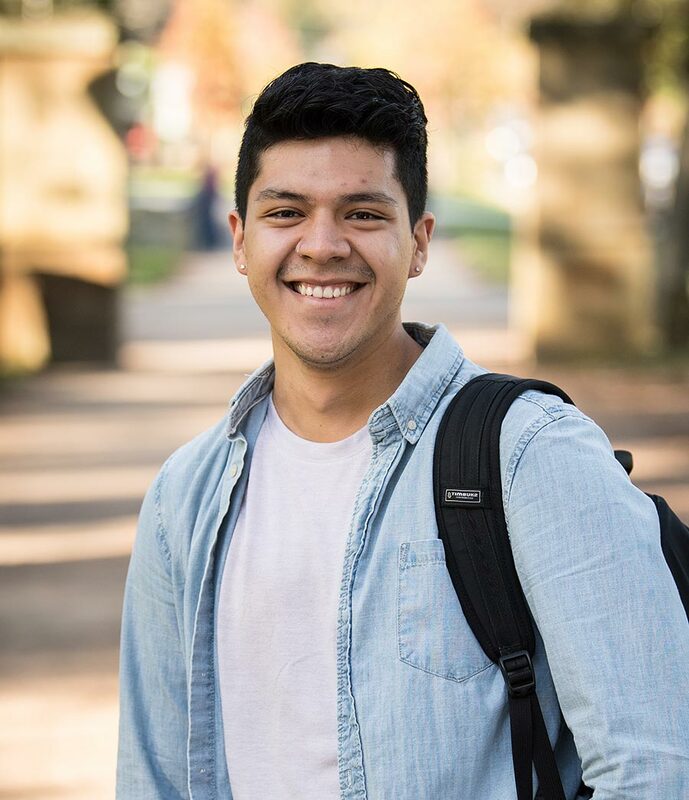 Sebastián leads Adelante, Kenyon’s Latinx student association, helps coordinate first-year orientation and interacts with prospective families as a senior admissions fellow.